Center for Ankle and Foot Care Blogspot: To Fix or Not To Fix My Bunion!!!! The Real Deal On Bunion Surgery!!!! To Fix or Not To Fix My Bunion!!!! The Real Deal On Bunion Surgery!!!! 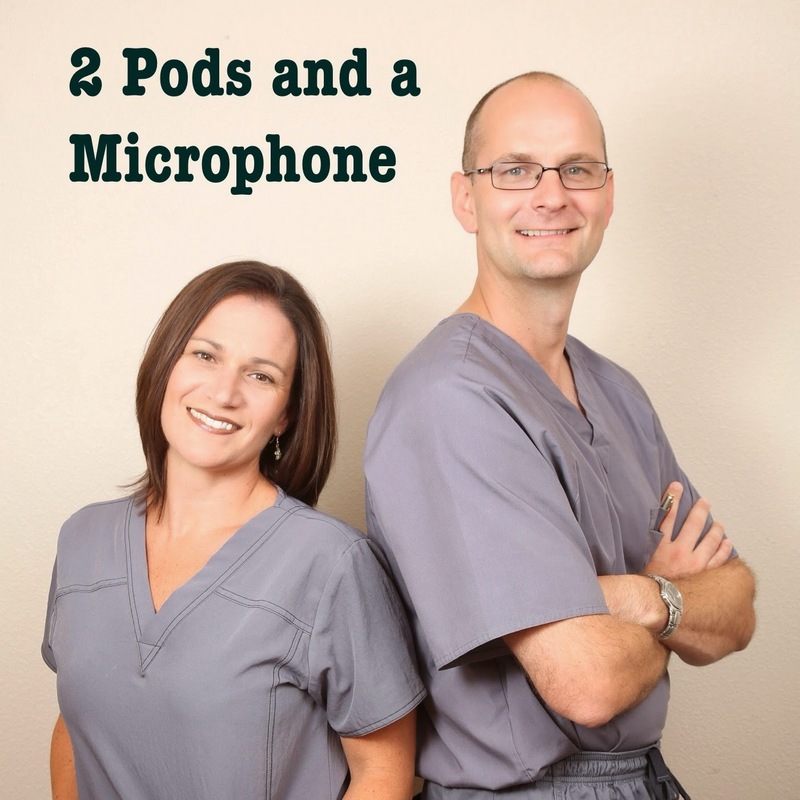 If you have just left your doctors office and they have told you that surgery is your best option for your foot deformity, you may want to read this and listen to our podcast above first before going through with the surgery. Now full disclosure Dr. Henne and myself are Board Certified in foot surgery and perform surgery weekly. That being said we will be the first people to try and talk you out of having unnecessary surgery. More importantly we make sure you fully understand the post operative course (how bad it really is). We never SUGAR COAT anything. Many people come into the office with a bunion or a hammer toe and want it fixed. But unless they pass a very strict set of criteria to be a candidate for surgery, we turn them away. I will jump right into the nitty gritty here folks. Number one reason to not have surgery is NO PAIN! Yes the old adage if it ain't broke don't fix it still stands. If you do not like the way your feet look, surgery is never the answer! Feet are for function not for entering beauty pageants. If you want pretty feet, foot surgery will give you pain and may never guarantee a beautiful foot. When do I operate on someone? The answer is simple: if they have pain that has not improved with a normal course of conservative care and I know that there is a great chance their foot will feel better after surgery. I never tell someone that their foot will look so much better only that their foot will feel better. I believe the unrealistic expectation that your foot will look better after surgery plays a huge role in why some people are very unhappy after foot surgery. 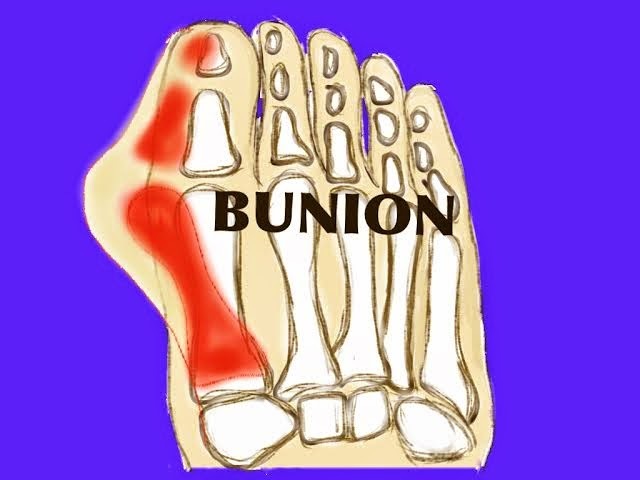 Bunions are a great example of the type of deformity a lot of people have but do not have a lot of pain with it. They present with the big bump on the side and want their foot to look thinner but have no pain. A bunion is a enlarged bump on the inside of the foot at the base of the big toe. A bunion, in its simplest definition, is a imbalance at the 1st metatarsal phalangeal joint(the big toe joint). A contracture of the lateral side of the joint and stretching of the medial side of the joint further contributes to the bone getting more deformed. Over time a bunion can become a progressive deformity that can lead to other deformities like hammertoes, blisters and more. But if you have no pain other than the bump being irritated in some shoe gear, then do not have surgery. The fix for the non-painful bunion is really an adjustment in shoe gear. Go for a wider toe box and get a mesh sneaker, stay away from constricting leather. The mesh will give unlike a leather or pleather material. The less pushing you have on the big toe the better to prevent any further progression of the deformity. Also if you just have to wear those fabulous shoes for the day then just do it. Yes your foot is going to hurt after, but just wear good shoes after that! 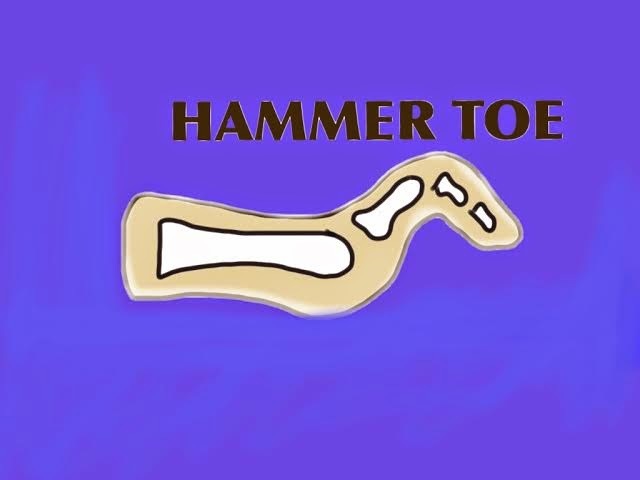 Hammer toes are a very similar situation to bunions as far as a guide to when to fix and when to just wear a more suitable shoe for your foot type. 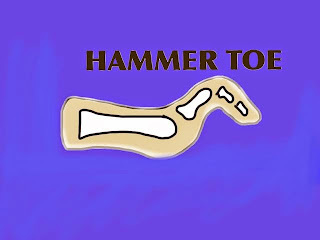 The hammer toe that is most common is the 2nd metatarsal joint(joint at the base of the 2nd toe) hammer toe. People often come in and complain of a contracted toe that rubs on shoe gear on the top of the toe. After a thorough examination, if they have no pain but just the nuisance of shoes that they want to wear not fitting right, I tell them to get new shoes. I explain that the pain they will have after surgery and the aesthetic result they want to have may not line up to what they expect in their mind. There are many instances where people have hammer toe surgery and their toe is still kind of deformed looking and much stiffer than they would have expected. My criteria, which if you are contemplating foot surgery please read closely, no pain in the toe means shoe gear adjustment and using gel sleeves to protect the toe with activity in enclosed shoes. If there is real pain in the toe and the joint that is unable to be treated with conservative care, then we consider surgical intervention. I tell all of my surgical hammer toe patients, "You may never be able to wear heels again, and all shoes will not be able to fit just because your toe was fixed." I always explain the end result is functionality when you have foot surgery not beauty. Again, for hammer toes and bunions they make extra-depth and extra-width shoes, that don't look like ugly orthopedic shoes. They just cheat the extra room where you need it in the shoe with out making the shoe look like it should be on Frankenstein! Now, I will tell you that I perform foot surgery weekly on people but only on those who truly need it. If you go see a foot an ankle surgeon and the first thing they offer you for your bunion or hammer toe deformity is surgery, you should run out on your non painful deformed feet and go get some new shoes. I leave you with this last thought, feet are not pretty. Feet are for transportation not to be entered in a beauty contest. I have never seen the foot competition in Miss America for a reason, most people have ugly feet!